Summer is the best time in Hong Kong. From major music and food festivals to pool parties, there’s plenty of awesome events in Hong Kong this month to fill up your calendar. 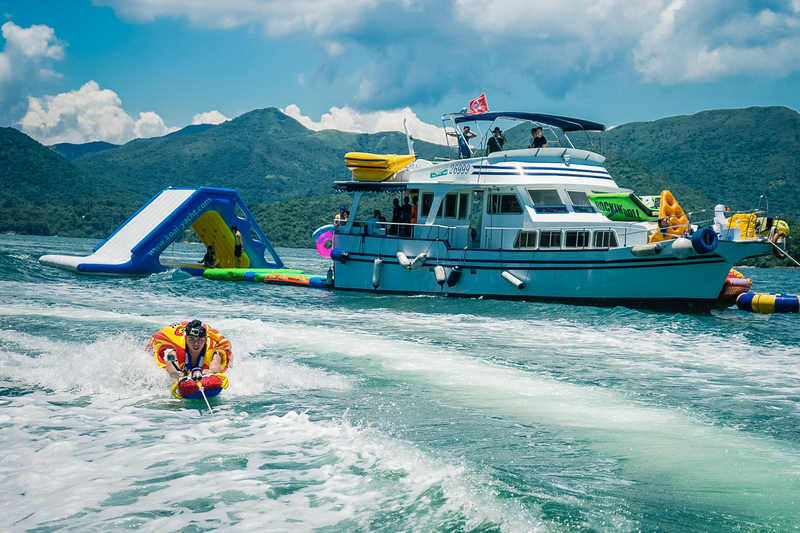 Whether you’re planning to top up your tan at one of the many gorgeous beaches in town or get your adrenaline fix at one of these water sports, it’s not truly summer in Hong Kong without hitting the seas and going on a junk trip. Here’s our roundup of some of the city’s best and most unique junk packages and caterings to help out and get you having the best possible time. Kick off your junk trip with a cup of freshly brewed coffee and a scrumptious breakfast courtesy of this luxury operator. Breakaway is a more intimate alternative to your usual junk parties where you usually aim to cram as many people on a junk as it’ll take. Breakaway recommends 22 people max, with free-flow beer and wine available throughout the day as you sail to the Outer Islands. Lunch, an inflatable suntanning platform and pool, kayaks and plenty of pool noodles are all thrown in as part of the package. Wakeboarding is also available for an extra $1,200 per hour. Perfect for a weekend getaway. $16,350 (15 people); breakawayhk.com. Delicious HK is a tasty choice serving seafarers the normal diet of jolly junk fun but with the ability to throw in some awesome extras. 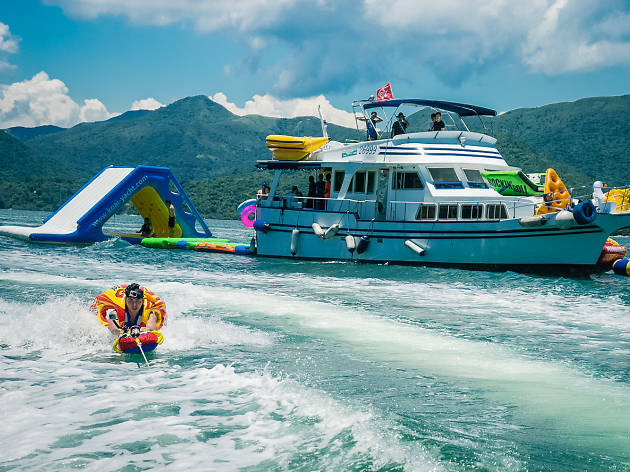 Pick a junk boat to hire based on your group size and inclusive fun extras like wakeboarding and inflatable slides before deciding on mouthwatering all-inclusive meal packages that come with roast chicken, satay skewers and an open bar. All that for an extra $750 per person.$6,500-$14,000; delicious-hk.com. 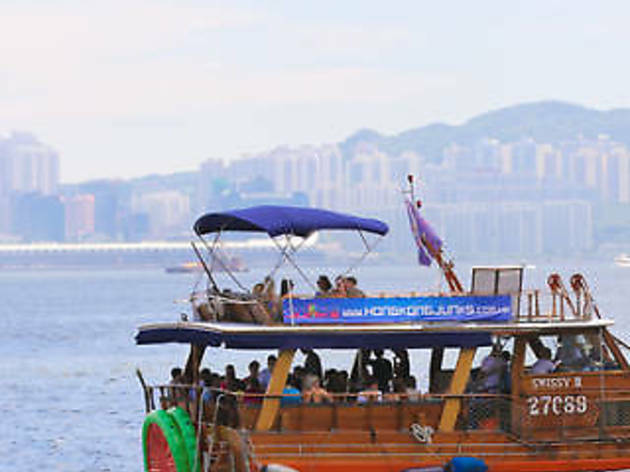 Hong Kong Junks is the go-to company if you’re looking for good ol’ fashioned junk fun. Its boats have room for up to 40 people with crowd-pleasing food provided by Nosh. Packages also come with pool noodles and stand up paddleboards. The organisers will throw in watersports like banana boat for an extra cost (price depending on destination and availability) and you’ve even the choice to hire a DJ – perfect for evading friends’ terrible playlists. $750 per person (inclusive); hongkongjunks.com.hk. Looking to throw the biggest party of the summer? Hong Kong Yachting has you covered. Its special Jungle Jane, Tarzan and Serpent yachts can be moored together with a custom-built adjoining fence to hold a party for 145 people. Complete with an inflatable slide, inflatable trampoline, bean bags, sun bed, custom-made bar and a badass sound system, this deluxe package starts from $780 per person. 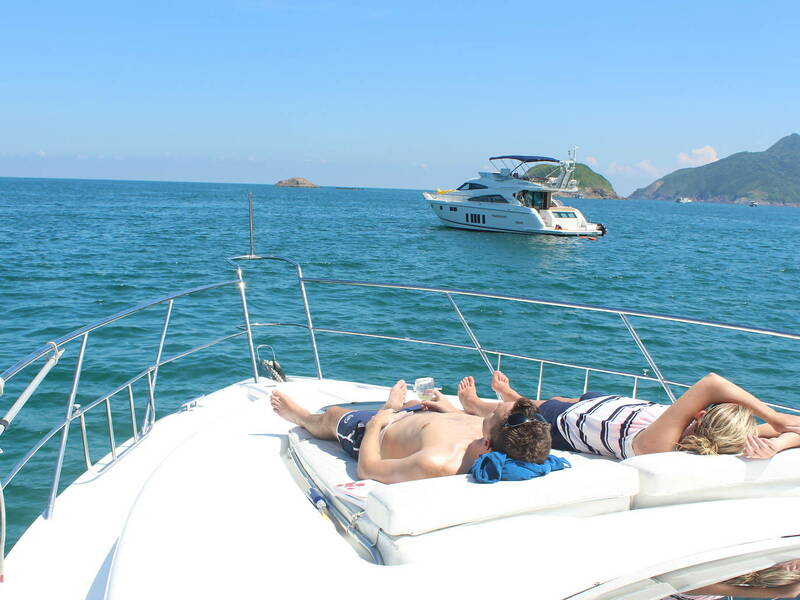 For a more traditional junk trip, Hong Kong Yachting offers inclusive packages with Thai food and drinks. 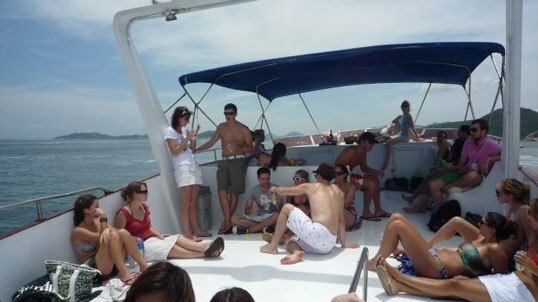 From $680 per person, $3,800 extra for wakeboarding and banana boating; hongkongyachting.com. Go old-school and hop on a Chinese teak junk for your next junk trip or party in style with one of Island Junks' speedy Ibiza boats, complete with smartphone-compatible sound systems, bean bags, kayaks and large floating platforms. 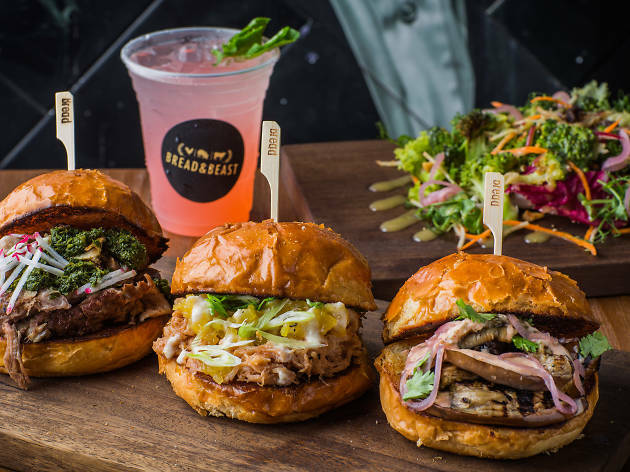 Pay another $220 to enjoy either a western or Thai-style lunch. These guys also provide paddleboat rentals and on-board massage for the entire day for $350 and $1,800 respectively. You can also splash out $3,500 to get some extreme water sports (wakeboard and banana boat) included. 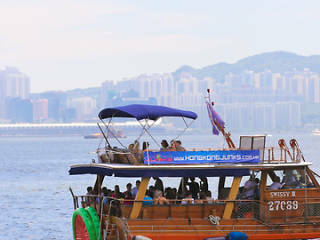 $370 per person; islandjunks.com.hk. Whether you’re looking for a boozy day out at sea or a dinner cruise, Lazydays has got them all. There's a wide variety of menu options from all-day food packages, that come with breakfast, lunch and afternoon snacks, to drink deals that get you free-flow Prosecco and craft beers, or free-flow champagne. All of them come with access to an infinity swim platform and floating bean bags. Looking to go out on a weekday? Lazydays does an inclusive two-hour harbour cruise with high tea ($690). Take it up a notch with their spa cruises for an inclusive boat hire for three hours with massage and mani-pedi treatments ($1,400). 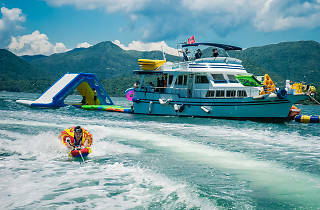 $820-$1,200 per person; lazydays.com.hk. 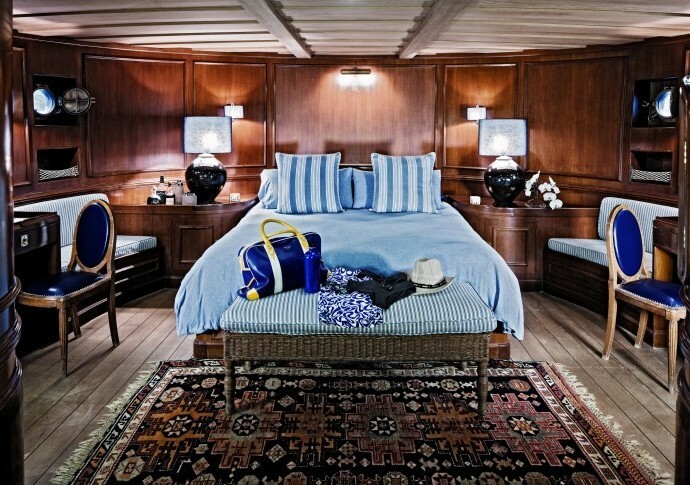 Sail in style on Michelangelo, a restored 80-foot classic motor yacht of mahogany, teak, brass and copper. 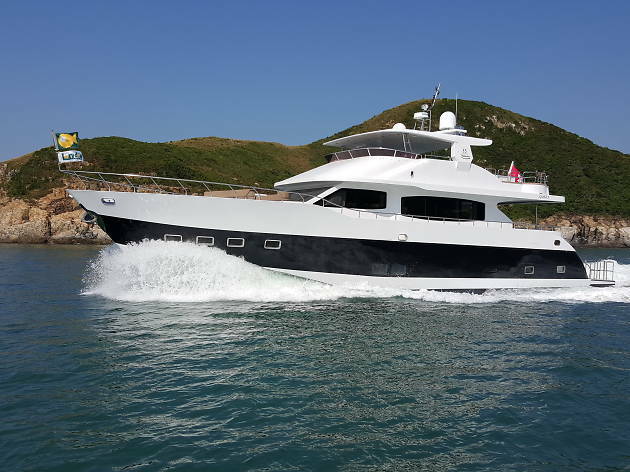 The 4,000sq ft boat can accommodate up to 59 people, so rally the troops for this one. Sprawl effortlessly on lounge mattresses or hammocks, relax in the grand living room or pass out in the master and guest cabins. Catering packages include chefs and waiters for cocktails and canapes or even a sit-down dinner. 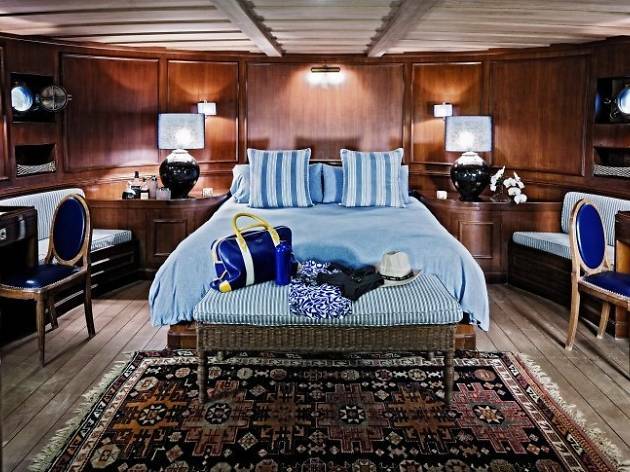 Perfect for some retro glamour at sea. From $24,000 for the day; michelangelocruises.com. 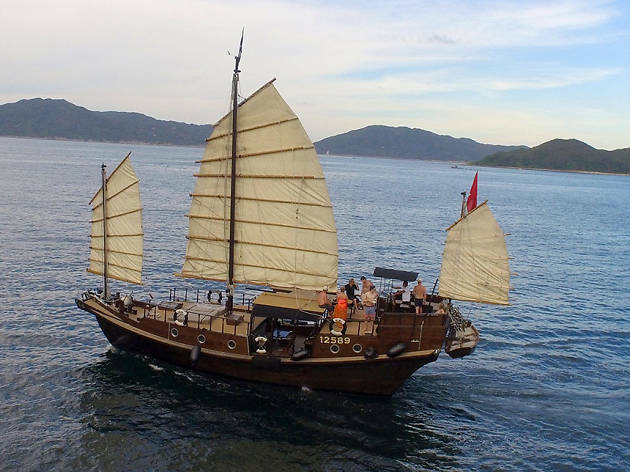 Get all Pirates of the Caribbean on one of Hong Kong’s last remaining traditional sailing junk boat. With a maximum capacity of 20 passengers, gather your salty seadogs and hop aboard. Saffron Cruises has a number of catering options offered as well as drink packages too – with plenty of rum, naturally. Modern junk boats are available as well, starting from $9,000 for the whole day. Either way, avast, matey! $18,500; saffron-cruises.com. Vikings Charter offers the most straightforward and affordable deals on this list, perfect for those who are bad at deciding. All you need is to pick between a traditional Chinese teak junk, a pleasure cruiser or a pleasure craft (nothing as dodgy as the name suggests). Board from your choice of Aberdeen, Central, Causeway Bay or Tsim Sha Tsui, and anchor for the whole day at either Repulse Bay or South Bay. Two hours of wakeboarding and banana boating are included as well. Add on another $170-$210 per person for a lunch buffet. No fuss, no muss. $5,500-$6,800; vikingscharters.com.hk. Inflatables are the trendiest accessory this summer and Yacht Holimood has got it all covered. With up to 21 different junk packages on offer, you’re simply spoilt for choice. Pick and choose any destination including Repulse Bay, Sai Kung, Tai Po and even the outlying islands. Party packages include a filling lunch, inflatable slides, water trampolines, banana boats, wakeboarding, kayaks and mahjong tables. Starts from $6,200, yacht.holimood.com. 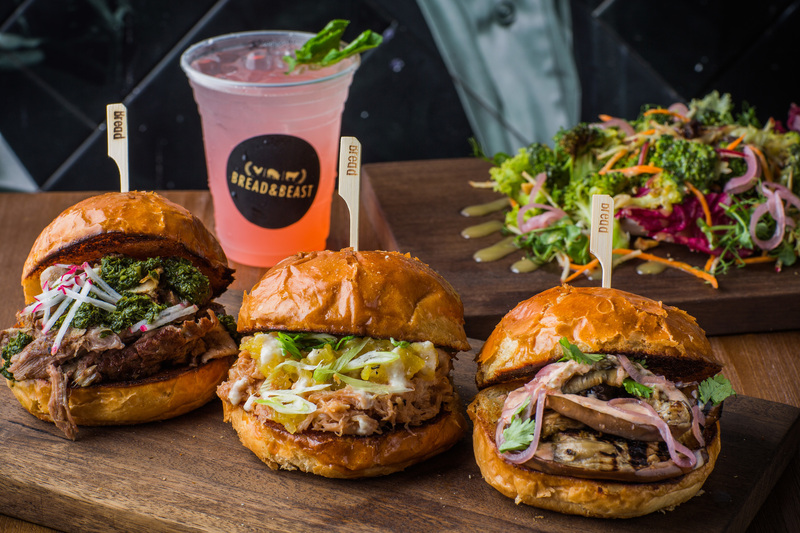 Our favourite Wan Chai sandwich shop has designed three new junk catering packages featuring their classic ciabatta and buttery brioche that comes with juicy char siu pulled pork and Hainanese chicken. A smoked eggplant vegetarian option is also on the menu. Don’t forget the sides – all packages come with ice-cold pineapple pops, kola wings and Ovaltine brownies. $150-$300 per person, minimum 10 orders. Epic junk trips call for some epic junk food. 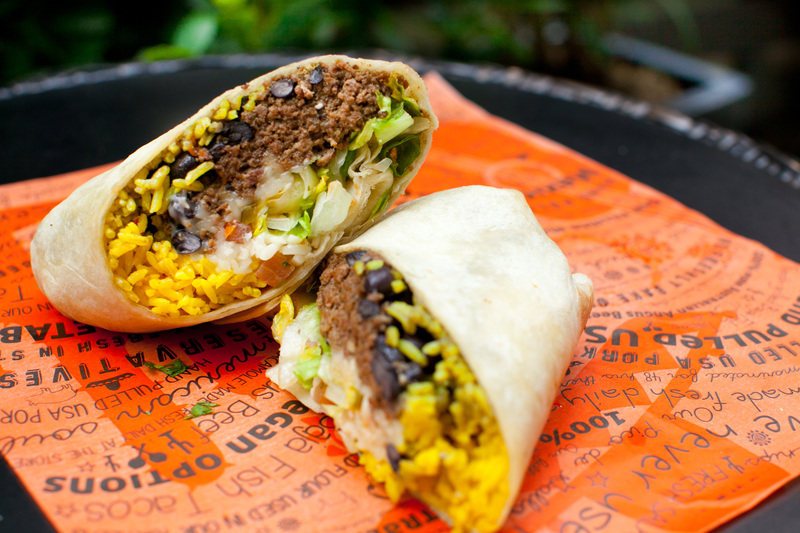 Get your fill of burritos and tacos with Cali-Mex’s catering packs that serve up to 10 people. 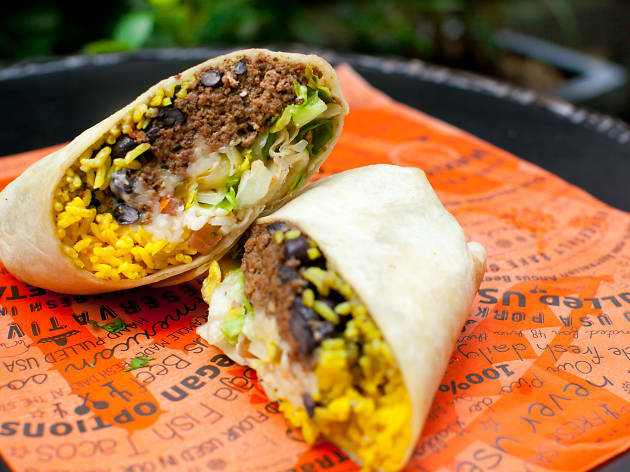 The Mexican joint provides a range of packages depending on the ratio of burrito, taco, quesadilla and churros you prefer. Feel free to request add-ons and extra portions of guac. Starts from $98 per person; cali-mex.com. Dig into a scrumptious Thai feast after a dip in the sea thanks to Fat Leg BBQ’s mouth-watering Thai street food classics, including grilled chicken wings and papaya salad and fried rice. Got big eaters at the party? Fat Leg also does premium menus with tender ribs and whole chickens. Add on appetisers and Australian beer to keep you satisfied throughout the junk. $1,000 (standard) or $3,000 (premium); fatlegsbbq.com. Fuel up on comfort food after a day out at sea and order up a range of burger and hot dog sliders from Flying Pig Deli. They do things real simple here by offering two packages, one to feed 25 people and the other feeds up to 40. 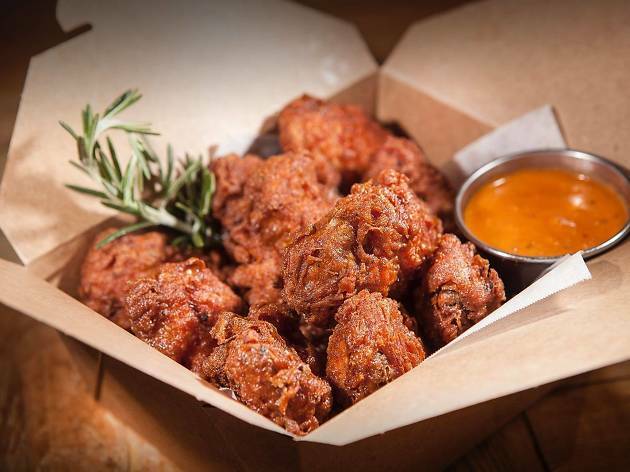 Each package comes with dozens of sliders, three trays of pasta and salads, 150 pieces of chicken wings and meatballs, racks of barbecue ribs, as well as two cases of beer. You can add more for extra drinks and wine. $5,000-$8,000; flyingpigdeli.hk. Invisible Kitchen’s new gourmet buffet catering menu is perfect for junks that don’t offer a catering package, or if you're looking for fancier grub for the boat trip. The mouthwatering range of goodies goes from chicken tikka pasta salad to traditional Italian lasagne. If you still have room, cram in some apple tarte tatin or Eton mess trifle. You might not have the ideal bikini bod afterward, but your taste buds are gonna thank you. $200-$350 per head, min 15 people; invisiblekitchen.com. In ‘knead’ for some fresh sandwiches? Go for Knead’s special junk catering packages, which includes freshly made sandwiches and salads. Keep things simple with the lunch packages that include 10 sandwiches with fillings like roast chicken, smoked salmon and braised beef brisket, and a salad and brownie tray. Alternatively, you can go for a heartier option that comes with breakfast sammies, baguettes, antipasto and fruit platters. Throw in another $80 for delivery straight to the ferry. $900-$1,500; kneadhk.com. Why settle for cheap beer when you can enjoy artisanal canned cocktails when you’re out on the water? 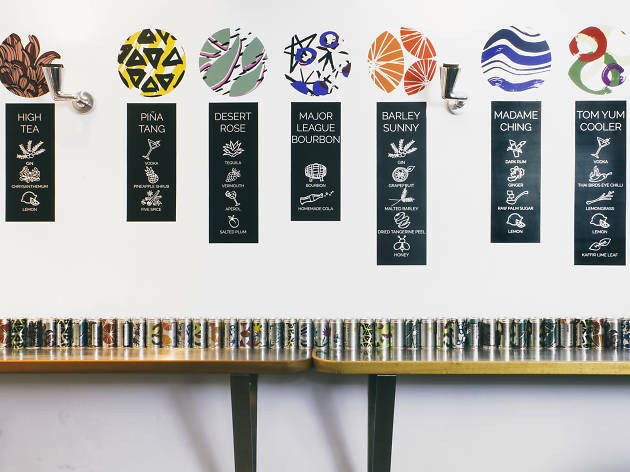 Created by the team behind The Woods, you can pick up to six different grab-and-go cocktail flavours including Piña Tang (a pineapple vodka mix) and Tom Yum Cooler. 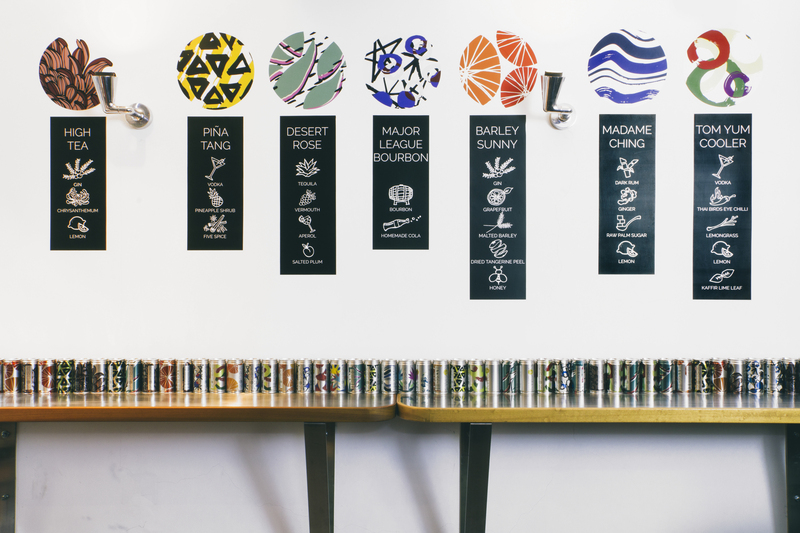 Kwoon offers deals for eight packs, 20 packs, 40 packs and 60 packs, and can deliver to Central, Aberdeen and Sai Kung piers for a small extra charge. Chic and shatter-free, Kwoon are a must-have for the junk season. From $500; kwoonbythewoods.com. Change up the usual western or Thai fare for some delicious Lebanese cuisine on your next junk. Maison Libanaise has just launched a junk catering package and is serving up its signature za’atar fried chicken, falafel and roasted cauliflower. There’s also plenty of hummus and baba ganoush to go round. Menus can be made vegetarian and delivered to Central pier. $318 per person, minimum 10 orders. 2111 2284; maisonlibanaise.com.hk. Say cheese! Add a French twist to your lunch and indulge in homemade French dishes with one of three packages that Monsieur Chatte offers. 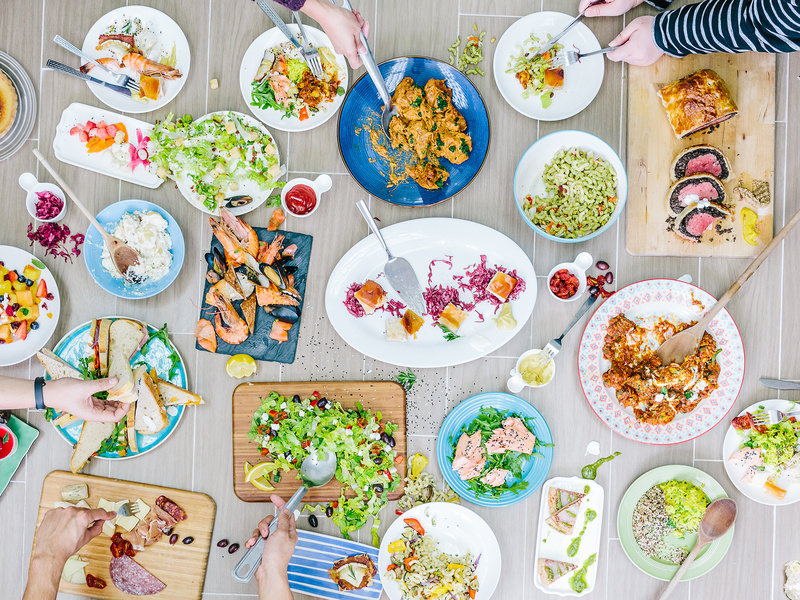 A standard package gives you a selection of tuna rice salad, quiche Lorraine, roasted chicken, brie cheese and a healthy serving of pound cake. Feeling a bit fancy? Upgrade to the chef’s menu and enjoy a cold cut platter along with delicious meat fillets and fruit tarts. Delivery is included in the package, so less hassle for you. $150-$350. 3105 8077; monsieurchatte.com. Beat the scorching heat and hit the water this summer with some adrenaline-inducing extreme water sports. Here’s the lowdown on all the best water sports classes and deals in town.